On Tuesday, May 20, 2014, Kentuckians will be voting in several primary elections, including those for Congress. We will focus on the US Senate primary. 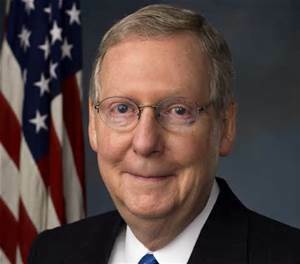 Senate Minority Leader Mitch McConnell is seeking reelection this year. On the Republican side, this will be an interesting primary to watch because it has magnified the schism between establishment Republicans, led by Senator McConnell, and constitutional conservatives, led by Matt Bevin. What do you think the outcome of this election will be? 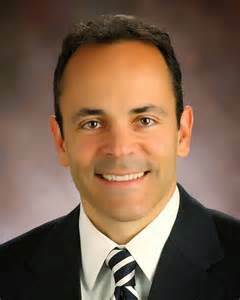 Kentuckians, please remember to vote in this primary on Tuesday, May 20, 2014! In 2012, former President George W. Bush declined an invitation to attend the Republican National Convention (RNC) in Tampa Florida. President Bush is certainly a polarizing figure and many breathed a sigh of relief when he neither spoke at the 2012 RNC nor campaigned for Presidential nominee Mitt Romney. Do you think President Bush’s presence at the 2012 RNC would have made a difference, either negative or positive, in Romney’s Presidential campaign? 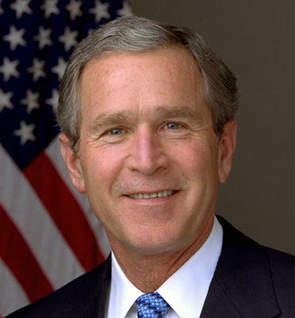 Moving forward, do you think the RNC should ask President Bush to speak at the 2016 RNC and/or campaign with the next Republican nominee? Why or why not? Who would you like to see featured at the 2016 RNC? On Tuesday, May 13, 2014, Nebraskans will be voting in several primary elections, including those for Congress. We will focus on the US Senate primary. Republican Senator Mike Johanns is not seeking reelection this year. On the Republican side, this will be an interesting primary to watch because it has caused a division between national and local tea party groups. In one corner is Ben Sasse, President of Midland University. 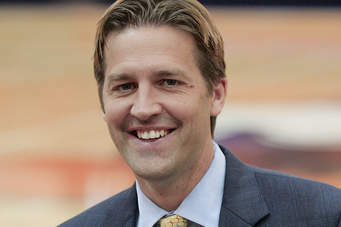 Sasse has been endorsed by Senate Conservatives Fund, FreedomWorks, Senator Mike Lee (R-UT) and Rep. Paul Ryan (R-WI). 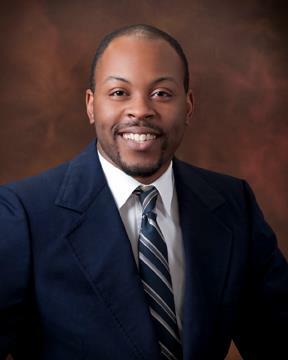 In the other corner is Shane Osborn, former Nebraska State Treasurer and U.S. Navy veteran. FreedomWorks originally endorsed Osborn, but, in an unprecedented move, switched their endorsement to Sasse. Matt Kibbe, President of FreedomWorks, stated that Osborn had “formed allegiances with Mitch McConnell and the K Street lobbying class” that signaled a “progression away from the grass roots.” However, 52 Nebraska tea party groups objected to the involvement of national tea party groups in this primary. The winner of this primary is expected to be victorious in November. Nebraskans, please remember to vote in this primary on Tuesday, May 13, 2014! Unfortunately, I do not mean that we are living in the year 1984. 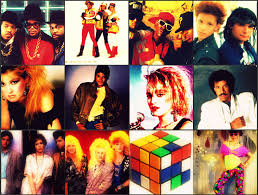 If we were, Ronald Reagan would be President, spandex and big hair would be our go-to style choices, Jane Fonda would be teaching us aerobics, the Rubik’s Cube would be everyone’s game of choice and we would have our MTV. Instead, I am referring to George Orwell’s novel 1984. The novel is set in a world of perpetual war, omnipresent government surveillance and public manipulation. In 1984, the political system is under the control of a privileged Inner Party elite that persecutes independent thinking as “thoughtcrimes.” The Party leader is Big Brother, who enjoys a cult of personality. Big Brother and the Party justify their oppressive rule in the name of the greater good. In Orwell’s world, the Ministry of Plenty rations and controls food, goods and domestic production. The Ministry of Truth controls information, such as news, entertainment and education. Sound familiar? As in 1984, the National Security Agency (NSA) is engaging in mass surveillance by collecting and storing all phone records of all American citizens. NSA spying is governed by secret Foreign Intelligence Surveillance Act (FISA) courts. To illustrate the consequences of such a mass spying program, a 2005 Internal Revenue Service (IRS) training manual instructed agents to take information provided by the Drug Enforcement Agency’s (DEA) Special Operations Division to begin new “independent” investigations of American taxpayers. Not only has it been revealed that the IRS has been using information obtained through the NSA to launch criminal investigations of American citizens, the IRS has admitted that it improperly targeted conservative groups, thus suppressing free speech. Today Federal Election Commission (FEC) Chair Lee E. Goodman stated that, “The right has begun to break the left’s media monopoly, particularly through new media outlets like the internet, and I sense that some on the left are starting to rethink the breadth of the media exemption and internet communications.” Goodman, a Republican, went on to say, “The picking and choosing has started to occur. There are some in this building that think we can actually regulate.” If that were too occur than Goodman is “concerned about disparate treatment of conservative media.” What is interesting about the FEC is that, in 1986, Lois Lerner was the head of the enforcement division at the FEC. Lerner, the former Director of Exempt Organizations at the IRS, is the woman at the center of the IRS targeting scandal. One of Lerner’s former colleagues, Craig Engle, said that Lerner harbors a “suspicion” that conservative groups are intentionally flouting the law. Judicial Watch has obtained email exchanges between Lerner and FEC enforcement attorneys indicating that she had provided the FEC confidential tax returns of conservative groups. The IRS is persecuting conservative groups who are engaging in independent thought. It is clear that the IRS is this administration’s Ministry of Truth. What greater good is this administration protecting by using federal agencies to suppress free speech? What greater good is worth the willing sacrifice of individual liberty? Imagine if a Republican administration had been so blatant at suppressing free thought and free speech? The Democrats would prosecute any Republican involved in such contemptible behavior. Remember when liberals protested against The Man? Now they have become The Man. They have shown themselves to be cowards in the face of opposition. They brand anyone who disagrees with their views a racist, a sexist, a classist or any other form of -ist they deem appropriate. They wield federal agencies like weapons to shut down those who dare to disagree with them. They control the mainstream media so that only their message is told. Now they want the FEC to regulate conservative media outlets like The Blaze and Drudge Report, further suppressing free thought. They rally around their Big Brother, who has certainly enjoyed a cult of personality. 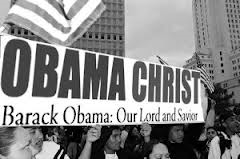 Remember when in 2008 then Senator Obama said “we are five days away from fundamentally transforming the United States of America?” To bring about this transformation, American could no longer be a free country. We would have to forsake our individual liberty for the greater good. President Obama’s signature law, Obamacare, has taken away our freedom of choice for the greater good of insuring the uninsured. In true Big Brother fashion, President Obama has called upon his Ministry of Truth, the IRS, to enforce Obamacare. The personal information with which Americans enter into healthcare.gov goes directly to the Department of Homeland Security (DHS) and to the IRS. Why does the DHS need to be involved in health insurance? President Obama uses his executive power to ignore parts of laws with which he disagrees, to selectively enforce laws and to legislate whatever he wants. When Obama said that he wanted to fundamentally transform our country, the hairs on the backs of our necks should have stood at attention. The tyranny he promised us has arrived. 1984 is here. And we are living it. How interesting that their new wave song Lies, Lies, Lies (They’re Gonna Get You) was foreshadowing the lies told by the Obama administration. Ok, the Thompson Twins song was really about a scorned love interest, but I do think the title of it is appropriate with regard to events of the past few years. According to President Obama, we could also keep the doctors we liked under his new healthcare plan. None of this turned out to be true. Unlike House Minority Leader Nancy Pelosi (D-CA), Republicans read the Affordable Care Act (ACA) before debating it, and therefore no Republicans voted for this bill. Section 1251 of the ACA states that people who had health insurance prior to March 23, 2010 would be able to keep those policies. But, the Department of Health and Human Services further regulated this provision so that “if any part of a policy was significantly changed since that date — the deductible, co-pay or benefits, for example — the policy would not be grandfathered,” according to NBC News. This means that the administration knew that people would not be able to keep their existing health care plans. Nice. 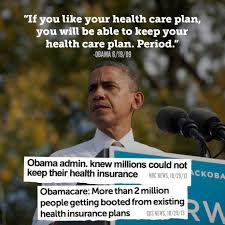 I know many of us (myself included) believed that if we liked our health care plan and if we liked our doctor we would be able to keep both under Obamacare. Because of this, many of us voted for President Obama in 2012. This lie was repeatedly told to manipulate people into voting for President Obama for a second term. That is outrageous. White House Press Secretary Jay Carney told MSNBC’s Joe Scarborough that Republicans have blown the IRS targeting issue out of proportion and that Republicans should instead be focused on strengthening the middle class. Uh huh. Remember that according to President Obama, there is not a smidgen of corruption with regard to the IRS scandal. Yet another lie. If there is not a smidgen of corruption, then why did Lois Lerner plead the Fifth instead of testifying to the House Oversight Committee? 3. “This was a spontaneous response…in reaction to this very offensive video…”. 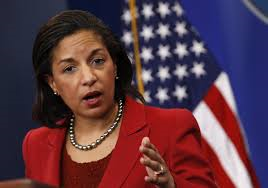 In an email uncovered by a Freedom of Information Act (FOIA) lawsuit brought about by Judicial Watch, Ben Rhodes, Deputy National Security Advisor for Strategic Communications, told intelligence officials, including Susan Rice, National Security Advisor, to blame a You Tube video for the attack in Benghazi and to deflect from broader policy failures. This email proves that the White House was involved in lying about the origin of the attack in Benghazi which led to the deaths of 4 Americans, including Libyan Ambassador Chris Stevens, to save political face. The CIA never connected the video with the attack in Benghazi. CIA deputy director Michael Morell testified that when Rice “talked about the video, my reaction was, that’s not something the analysts have attributed this attack to.” The CIA station chief during the Benghazi attack testified to the House Permanent Select Committee on Intelligence that the attack was a terrorist attack and not a demonstration that had gotten out of control. Gregory Hicks, Deputy to Ambassador Chris Stevens, testified last year that he told then Secretary of State Hillary Clinton that there was no demonstration on the night of the attack. Rep. Darrell Issa (R-CA), Chairman of the House Oversight and Government Reform Committee, recently issued a subpoena to Secretary of State John Kerry because the State Department has failed to produce all documents relating to the attack in Benghazi. Secretary Kerry apparently refuses to comply with the subpoena. It will be interesting to see how this all plays out once the Benghazi Select Committee chaired by Rep. Trey Gowdy (R-SC) is formed. Why would the administration refuse to cooperate with the Benghazi investigation if everything related to it is on the up and up? How could anyone trust anything this administration says after this documented pattern of deliberate deceit? The September 11, 2012 attack on the U.S. diplomatic mission in Benghazi, Libya has raised a lot of important questions. This attack occurred on the eve of the 2012 Presidential elections, making those questions particularly interesting. The administration has tried to dismiss Republican concerns over what happened that fateful night by calling the attack a “phony scandal.” As an American citizen, I find such a description of an attack that left 4 Americans to fend for themselves and die offensive. New evidence has come to light via White House emails obtained through a Freedom of Information Act (FOIA) request from Judicial Watch, in which it is clear that the administration has been engaging in a cover up from day 1 over what happened in Benghazi. The administration blamed the attack on a spontaneous demonstration in response to a You Tube video, even though they knew that this was not the reason for the attack. In addition, the administration removed reliable security detail from the Benghazi compound and replaced it with Libyan security personnel, who Libyan Ambassador Chris Stevens deemed unreliable. The cause of the attack in Benghazi did not fit the administration’s narrative that Al Qaeda was on the run. Conservative commentator Charles Krauthammer stated that the newly released White House email on the Benghazi talking points is the “equivalent of what was discovered with the Nixon tapes.” Krauthammer is correct. At least President Nixon had the decency to resign once the truth about Watergate came to light. In contrast, this administration keeps covering up each lie with more lies rather than take responsibility for what happened. The reason that Benghazi is so important is that, by covering up what happened, the Obama administration is demonstrating its willingness to use the military and intelligence agencies to lie in order to win an election. Lying to the American people seems to be a pattern of this administration. Remember this? In lying about what really caused the attack in Benghazi, this administration is in essence telling us that they would rather put politics above the security of the American people. This is not only true of President Obama, this is also true of former Secretary of State and possible 2016 Presidential candidate Hillary Clinton. Secretary Clinton deliberately repeated the lie to the families of the Benghazi victims and to the American people about a You Tube video being the cause of the Benghazi attack. She also lied to the Senate Foreign Relations Committee, claiming that she had no knowledge of the security situation in Benghazi. However, House Republicans released a report stating that Clinton signed off on denying additional security to the U.S. diplomatic mission in Benghazi. So which is it? Was she unaware of the security situation in Benghazi, or was she aware, but did not want to admit her knowledge of the situation? Even if Clinton was not directly responsible for responding to cables from the Benghazi consulate requesting additional security, the buck stops with the Secretary of State. The Secretary of State is responsible for organizing and supervising all employees in the State Department and is responsible for the supervision of interdepartmental activities of the U.S. government overseas. 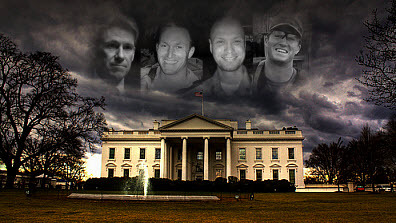 While Clinton certainly deserves blame for denying security requests that led to the deaths of Ambassador Stevens, Tyrone Woods, Sean Smith and Glen Doherty, what about President Obama? Where was he that fateful night? Former National Security Council spokesman Tommy Vietor admitted that President Obama was not in the White House Situation Room the night of September 11, 2012. 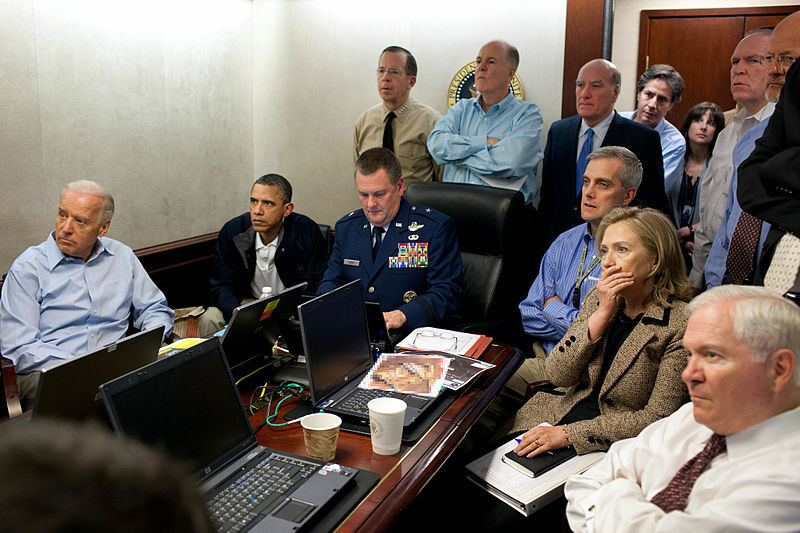 The White House was careful to release this photograph of President Obama and his national security team monitoring the raid that resulted in the death of Osama bin Laden on May 1, 2011. Why was no such photograph taken during the Benghazi attack released? If there is no cover up with regard to the Benghazi attack, then why did there have to be a lawsuit to obtain relevant White House documents? Why was additional security to the Benghazi consulate denied? Did President Obama sign a Cross Border Authority as only he could do as Commander in Chief so that the military could get to Benghazi? Many people talk about a stand down order, but what if no order to go into Benghazi was ever given? Who was in charge that night? Where was Secretary Clinton that night? Why was the military not prepared to come to Americans’ aid in an unstable country on September 11 of all dates? What questions do you think the Select Committee needs to answer? Who do you think the Select Committee should subpoena to obtain such answers? The actions of President Obama, Secretary Clinton and the administration show a lack of integrity and a callous disregard for American security. If this attack was covered up just to save face so that President Obama could win reelection, then we should all be disgusted and outraged. The families of Stevens, Woods, Smith and Doherty deserve to know the truth about why no one saved their children that fateful night. All Americans deserve nothing less than the truth about what happened in Benghazi. To call Benghazi a “phony scandal” is despicable. The truth, Mr. President, is anything but phony. This week a federal judge struck down Wisconsin’s voter ID law, stating that a requirement that voters show a state-issued photo ID at the polls imposes an unfair burden on poor and minority voters. This ruling means that Wisconsin’s voter ID law has been invalidated and that people in that state will no longer be required to show an ID when they head to the polls this Fall. Democrats believe that requiring people to show a state sponsored ID at the polls will lead to voter suppression because it will place a costly burden on low income and minority voters. How ironic is it, then, that Wisconsin residents, for example, can obtain a free ID from the Department of Motor Vehicles. Voter IDs are free in several other states, including Georgia, Pennsylvania and Arkansas. Democrats like to argue that Republicans are racist for wanting fair elections by requiring a photo ID to vote. You know what else is apparently racist? Pollution. But I digress. Democrats clearly have a low opinion of minorities and low income citizens. The argument that minorities are too stupid to not only obtain a photo ID but to furnish a photo ID at the polls is racist, disrespectful and insulting. Requiring a free ID for voting does not in any way harm low income citizens. 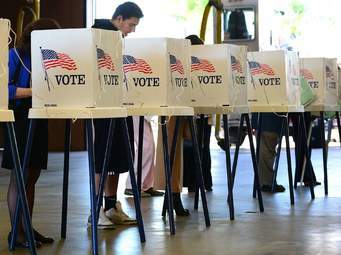 By railing against an ID requirement, Democrats are in essence advocating non-citizens to vote. This, coupled with their push for amnesty of illegal immigrants, is interesting and shows the transparency of Democrats’ motives. Democrats do not care about minority or low income citizens. They care about increasing their voting base. Democrats will insult minorities so that they can gain politically. People need to wake up and see how demoralizing their position is. 3. To open a bank account. 4. To apply for food stamps. Oh, snap! No pun intended. 5. To apply for welfare. 6. To apply for Social Security. 7. To apply for a job. 8. To rent or buy a home. 9. To drive a car. 10. To get on an airplane. 12. To purchase a gun. 13. To adopt a pet. 14. To rent a hotel room. 15. To apply for a hunting license. 16. To buy a cell phone. 17. To gamble in a casino. 18. To pick up a prescription. 19. To purchase certain over the counter cold medications. 20. To hold a protest. 22. To buy an M rated video game. 23. To purchase nail polish at CVS. 24. To apply for Medicaid. Here is a map showing how voter ID laws vary by state. Since Democrats will beat the “requiring a voter ID is racist” drum until the cows come home, here’s an idea. How about Republicans help people obtain a state sponsored voter ID? Help people make sure they have the correct documents that are required to obtain a voter ID. Take people to the DMV so that they may obtain a voter ID. Turn the tables on the Democrats. Republicans can show citizens how much they care about preserving their right to vote by helping them obtain voter IDs. Then maybe people will realize how low of an opinion Democrats have of them. On Tuesday, May 6, 2014, Ohioans will be voting in several primary elections. We will focus on the US Congress primary for CD 8. 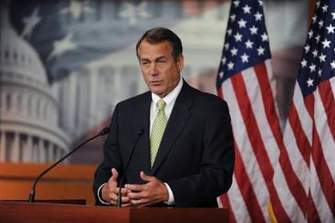 House Speaker John Boehner, who represents this district, is running for reelection this year. There is a lot to be said about Speaker Boehner, so I will leave it to you to do so. This is his website: http://www.speaker.gov/. For fun, please see this ad against Speaker Boehner. Ohioans, please remember to vote in this primary on Tuesday, May 6, 2014! Today Senate Republicans blocked a Democrat-sponsored bill that would increase the federal minimum wage to $10.10 per hour. The current federal minimum wage is $7.25 per hour. Do you think the minimum wage should be increased? Do you think we should even have a minimum wage? Do you think welfare payments should be equal to the minimum wage? Why do you think Democrats are pushing for an increase in the minimum wage? How do you think an increase in the minimum wage would affect the economy? Please comment with any thoughts you may have on this topic.